This is a photo of Thomas Davey of Woombye which is a town located in the Sunshine Coast area of Queensland. 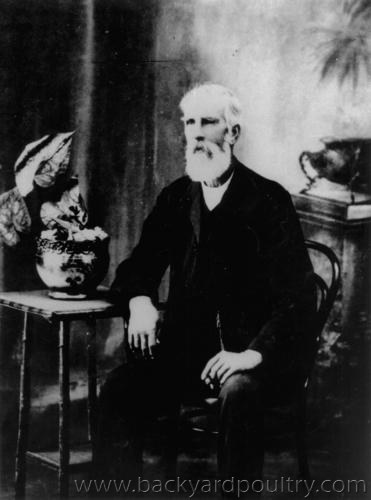 I can't find out a lot about him except that he was born in 1848 and was the first pineapple grower in the region. There are a few photos of him in government libraries but only a couple can be duplicated. The second one shows him with a 'prize fowl'. It's hard to be sure but I wonder if it's a bantam buff sussex. This first picture was taken in 1900. Second picture taken in 1911. I wondered if this was taken at the Royal but it's also possible that it's a local show. I reckon its a large fowl Possibly an utility Rhode Is.? I thought it was too big for a bantam, but then not big enough for a standard either. 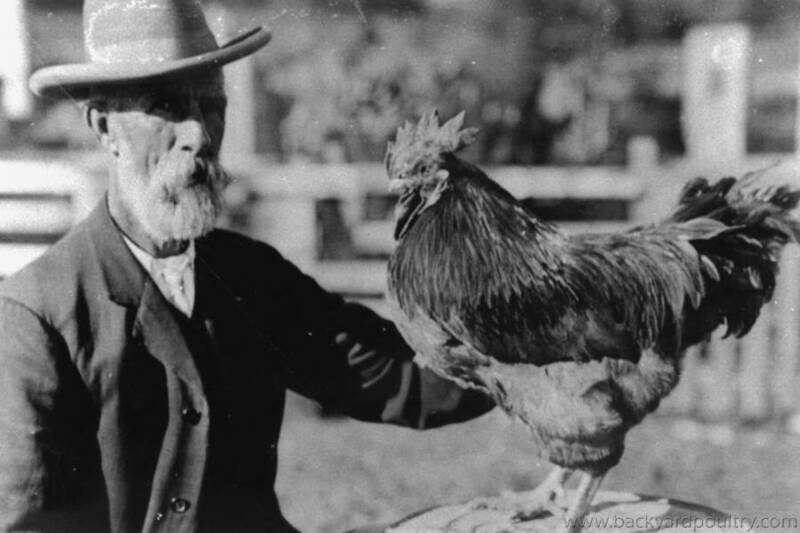 My guess is a Large New Hampshire rooster. How BRILLIANT that you are related !